All along I thought the iPad brand came from Apple but apparently it was bought from a Chinese company "Proview Electronics Co."
Apple bought the "iPad" trademark from Proview Electronics Co. in 2009 in 10 countries including China. Now, Proview went to court to claim back its rights to the iPad brand. According to Proview, they were misled by Apple during the trademark acquisition. Apple used a third party company "IP Application Development Ltd." which concealed it was buying on Apple's behalf. Proview Electronics Co., a company that produces computer monitors and LED lights launched the device iPAD or "Internet Personal Access Device" in 2000. 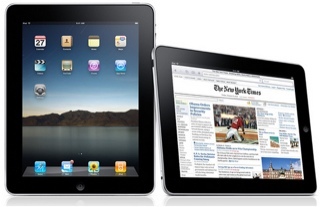 Apple on the other hand launched its popular iPad tablet in 2010.